An elegant lady, with her Gucci and Prada in place, who was walking beside me as I was on my way to Diggi Palace, tells rather excitedly to her friend, “You know I am dying to check out its store. I have to, have to buy some shoes.” Shoes? Didn’t you think it was a literature festival? But then the Jaipur Literature Festival, perhaps, is a festival with a difference. It’s about writers as much as it’s about those who have little or almost nothing to do with the written word. While it is, of course, a window to the ways of all sorts of writers — the way they talk, the way they walk — it is also about schmoozing, networking or just having a gala time even as raconteurs and storytellers tire of endlessly talking about their books, their writings and their places in the world. A major draw, far from what you would ever have imagined, happens to be what the elegant lady’s friend told her: “You know, what I like about the festival is that almost anyone who is someone is here,” as she set her eyes on a famous author she said she couldn’t recognize. The author in question was Kamila Shamsie, the well-known Pakistani writer who had a session with her mother, Muneeza Shamsie, on whether literature can subvert the national narrative. The elegant lady’s conversation really set me thinking. What is it that makes the JLF really work? What is it that the show keeps getting bigger every year, drawing about 35,000 to 40,000 people (according to the organizers, though you have no ways of reaching any accurate figure) to its five-day-long celebration of literature? While it is good news for the organizers, it spells a chaos that spirals out of control. It is particularly crowded and chaotic this year. The interactivity quotient, the hallmark of a festival like this, has hit rock bottom. You kept losing yourself all the time. And grateful if you could find a corner where people were not jostling, where you were spared of the push and shove. The authors, who would ideally be open to informal conversations, were too hassled by the bursting-at-the-seams venue and were seen running to quieter zones for some moments of tranquility. The mela that the JLF has become might perhaps force it to look for another venue sometime soon. For, while it feels good to see Vikram Seth standing behind you in the long, long queue for food, it is not quite a good idea to stand for hours in a queue that knows no ending under a scorching sun. While some of the festival regulars I know left Jaipur on the very first day — intimidated by the swelling, burgeoning crowd of gung-ho school kids and other young and old literary enthusiasts —- finding themselves a little lost at the show, running far from the madding crowd. There was no ebbing the ire of the scribes, most of whom were made to stay at a hotel, 25 km away from the venue, on the Jaipur-Ajmer Road, giving them a glimpse of the JLF’s logistical nightmare. A couple of weeks before the 2011 chapter of the JLF flagged off on January 21, a news magazine had opened a pandora’s box on the literary scene in India that, it suggested, was still beholden to the Raj. “If Jaipur matters as a festival, it is because of the writers from Britain it attracts,” it mentioned. William Dalrymple, the co-founder of the festival, was termed “the pompous arbiter of literary merit in India”. The open indictment of the festival, and its co-director, led to a flurry of reactions from authors, journalists and critics. Some said the writer of the piece had a point. After all, the Indian authors did hanker for the British approval, they argued. The festival regulars, among them many publishers, said Jaipur was much more than a British affair and argued that they had begun to plan their annual calendar keeping the festival in mind. Many book releases were timed in a way that their authors could make it to the festival. The piece, however, did not go down well with Dalrymple who accused the scribe of engaging in racism. “Does our liberal historian know what racism is,” wondered the magazine. If you have been following it, you would know how ugly it got after Dalrymple’s rejoinder coupled with the magazine’s response. Still others joined later to question whether Dalrymple was not giving credit where it was due for conceiving the festival and holding it successfully every year. Dalrymple has gone on an overdrive ever since, giving interviews to publications that matter and writing pieces on the festival in various national and international dailies and magazines, giving credit to anyone and everyone in a recent piece he wrote for Hindustan Times. JLF works, he reiterated, because “we are a lot of fun”. For many people, however, partaking of that fun came with a certain price this time round. Many feared the controversy would cloud the festival this year, it remained a part of the private conversations between some authors and scribes who descended on the decked-up Diggi Palace, which had tents, buntings, festoons in place to keep its annual tryst with the literary moths and lights. “I think this is a shortcut to cheap and easy popularity,” said a member of the literati on condition of anonymity. Many wondered what such a reputed magazine would achieve with what they thought was a rather salacious piece. The JLF, however, managed to stave off the issue that threatened to, or that is what we thought, dominate it. (And when the writer of the piece in the magazine made it to the festival on Sunday, the question on everyone’s mind was whether he had accepted Dalrymple’s offer to come to the festival where the latter would “buy” him a drink). The $50,000 DSC South Asian Literature Prize, which was given to Pakistani-American author H.M. Naqvi for Home Boy, seems to have created a lot of excitement among the writers of the region. The lure of the JLF, for many, is irresistible. There are authors from all corners of the world, writing in many languages: This year, it is Orhan Pamuk and J.M. Coetzee who are among its major draws. (Coetzee’s reading session on Sunday was jampacked, even though it was not an interactive sesson, with Coetzee declaring that he did have opinions, but his opinions didn’t matter that much to him). It is a festival where there are publishers and agents. Jaipur remains, even though it is not the perfect place to be, an arena where publishers strike deals with authors, promising debutants are poached upon by rival publications, agents sought, authors found. But all this happens as a sideshow. The primary pretension is about ideas on literature. In the coming years, the festival will have to ensure that it is not literature that becomes a sideshow. For if that happens, it will lose out on the serious lovers of literature who care more for substance than symbols. 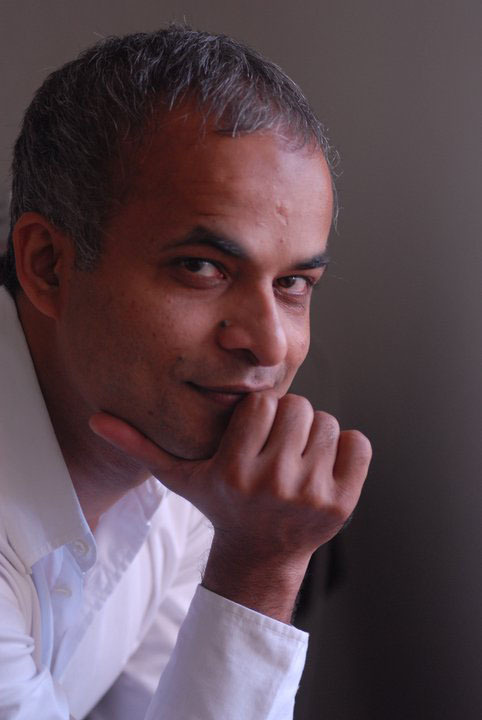 Amitava Kumar: “I always felt that E.M. Foster is overrated. Frankly.” Thus begins a recent clip on YouTube featuring Jonathan Franzen. He talks of Foster and Graham Greene, and asks, “What’s all the fuss about?” I’m eager to know what’s all the fuss about Franzen’s Freedom. Even US President Barack Obama, with his many global responsibilities — responsibilities that involve making time-consuming, soul-devouring compromises with the immoral Republicans — appears to have read Freedom. I haven’t. I have been busy reading older novels, books published maybe a year or even two years earlier, which have now been narrowed down to a handful for the $50,000 DSC Prize for fiction. The winner will be announced at the Jaipur Literature Festival in January. In any case, the work I’m doing on the jury is no excuse. I’m very much looking forward to the new year when I’ll read three recent novels that I’ve heard so much about: Franzen’s Freedom, of course; Emma Donoghue’s Room with its imaginative experiment in voice; and Jennifer Egan’s A Visit from the Goon Squad, a novel comprised of smartly interlinked stories. I also have near my desk a pile of unread, older classics that friends have recommended to me, including Muriel Spark’s The Prime of Miss Jean Brodie and Evelyn Waugh’s The Loved One. So many books! The other day, to escape the freezing cold, I darted into a bookstore and, on an impulse, bought J.M. Coetzee’s Summertime. I can’t wait to read it, not only because the book was a finalist for the Booker Prize but, more important, because Coetzee is God. 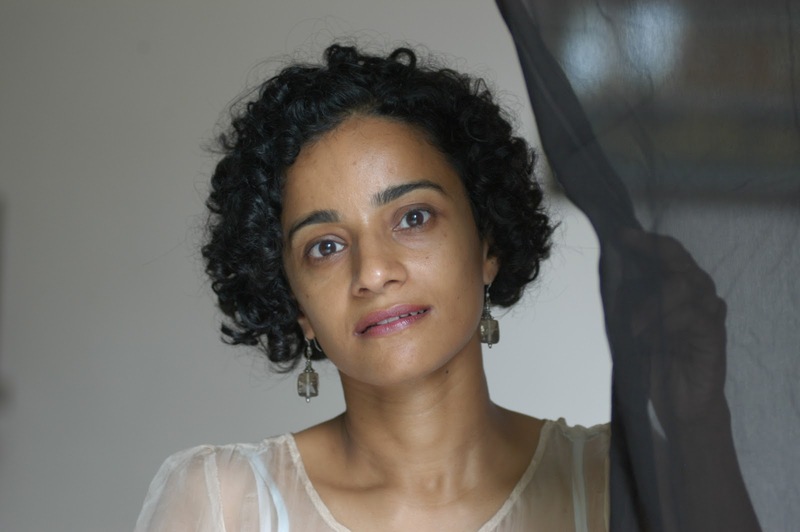 Chandrahas Choudhury: I’m a great admirer of the Tamil writer Salma, whose novel The Hour Past Midnight is to my mind one of the most fulfilling books in all of Indian literature because of its technical prowess and empathy for human dilemmas. 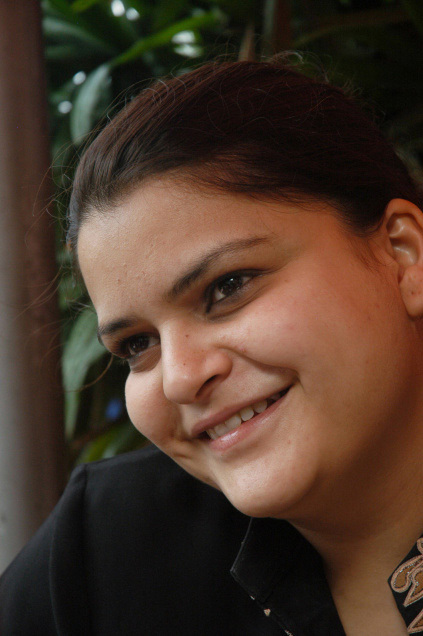 Zubaan, the publisher of her novel, is bringing out her poems in 2011 in a translation by Lakshmi Holmstrom. I’m looking forward to reading these. The political thinker Tony Judt passed away earlier this year when still in his early sixties. His last book, A Grand Illusion? : An Essay on Europe comes out next year. The Egyptian novelist Naguib Mahfouz is one of the greatest names in contemporary letters, and a new translation from the Arabic of his novel Love In The Rain comes out next April. The 15th-century poet Kabir is already well-served in English in translations by Vinay Dharwadker and Linda Hess. Now, in March, we’ll get to see what the Indian poet Arvind Krishna Mehrotra makes of his work in Songs of Kabir (NYRB, March). Krishna: A Journey Through the Lands and Legends of Krishna — a Jaico Book that describes various tourist places and the legends of Krishna that are associated with them. I am also looking forward to Bunny Suraiya’s debut novel based in Kolkata as well as Amitav Ghosh’s volume two of his Ibis trilogy. Mukul Deva has his next, Tanzem, out in the early part of the year, getting the military action genre going. Also, Ratika Kapoor’s debut novel is out this year. Published by Hachette, it’s a great read. And like every year since it’s been announced, I wait in earnest for Vikram Seth’s A Suitable Girl, but alas I am told there is yet another year to go. Anjali Joseph: I’m looking forward to checking out a new translation by David Bellos of the French experimental writer Georges Perec’s The Art of Asking Your Boss for a Raise. This year I happened on a translation of his Attempt at Exhausting a Place in Paris, a delightful little book that records his impressions of sitting in different cafes in the same square in Paris for three consecutive days, down to pigeons, buses, and passers-by. I’m also very much looking forward to the release of the second volume of Samuel Beckett’s Letters, published by Cambridge University Press, the first volume of which both shed light on his reading and artistic preoccupations in the early part of his career and entertained. The debut novel I’m most excited about is Christie Watson’s Tiny Sunbirds Far Away, a beautifully-written tale of a young girl’s family life in rural Nigeria, and how oil politics come to impinge on that life. It’s definitely going to be one of the signal titles of 2011.
the nature of consciousness through the organ and that is always interesting though you know that in the end the author will not say anything conclusive about the matter. Good works of science non-fiction are often deeply philosophical and I am confident that I am going to like this book. After this I want to read Makers of Modern India by Ram Chandra Guha. Then I must move on to Monkey-Man by K.R. 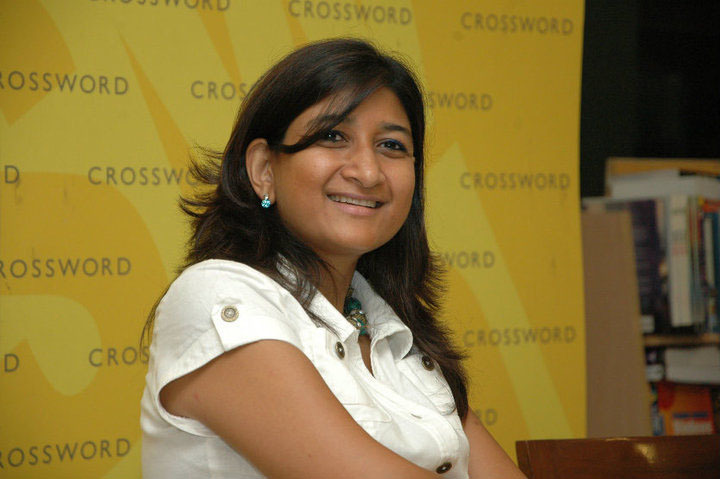 Usha and The Thing about Thugs by Tabish Khair. Their plots, from what I have read in their reviews, are very surprising. I have to also read The Changeling by Kenzaburo Oe for mildly comical personal reasons — I will be very relieved to know that its plot is not what I think it is. The last three books have been longlisted for the Man Asian Literary Prize. Then there is Ken Follet’s Fall of Giants. That one will be read, as usual, with envy. The way Follet makes his plot move is astonishing. People Who Care, Javier Cercas’ The Anatomy of a Moment, Parag Khanna’s How to Run the World. I’ve also heard really good things about Shehan Karunatilaka’s Chinaman: The Legend of Pradeep Mathew, an advanced copy is already at my bedside. The highlight for me though will be Joan Didion’s Blue Nights, a memoir about ageing. If it’s anything like The Year of Magical Thinking, I may not need anything else for the rest of the year. 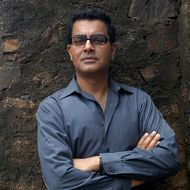 Namita Devidayal: I am really looking forward to Mohammed Hanif’s next novel which is due to be published sometime in 2011. I have had the privilege of reading some early extracts and it sounds fabulous — in that same deadpan way as his A Case of Exploding Mangoes. I am also looking forward to the second part of Amitav Ghosh’s Sea of Poppies trilogy. I also hope someone discovers an unpublished manuscript by the late Steig Larssen. Mridula Koshy: I’m not the big reader of fiction I used to be. And when I pay attention, it is to the writers in India. Vivek Narayanan’s Universal Beach and Jeet Thayil’s English were really the beginning for me in terms of becoming a reader of poetry. I’ve heard Narayanan perform poems from his Submramanian series and am extremely curious about what else there is that I haven’t heard yet. I’ll find out when his new collection of poetry is released. Thayil has shifted to the novel: Narcopolis. I expect it will be the earthquake his poetry is. 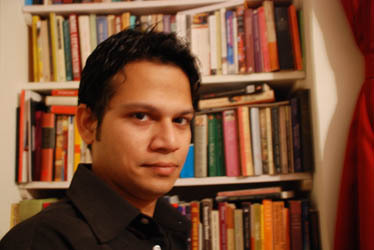 Another writer I want to mention is Siddhartha Deb. The question of how we can write about places that haven’t figured in English language literature is one I ask myself in my writing. His novel, Surface, gave me a lot to work with. His Do You Know Who I Am? Stories of Wealth and Poverty from India is non-fiction so I am curious to see him make the shift from fiction.